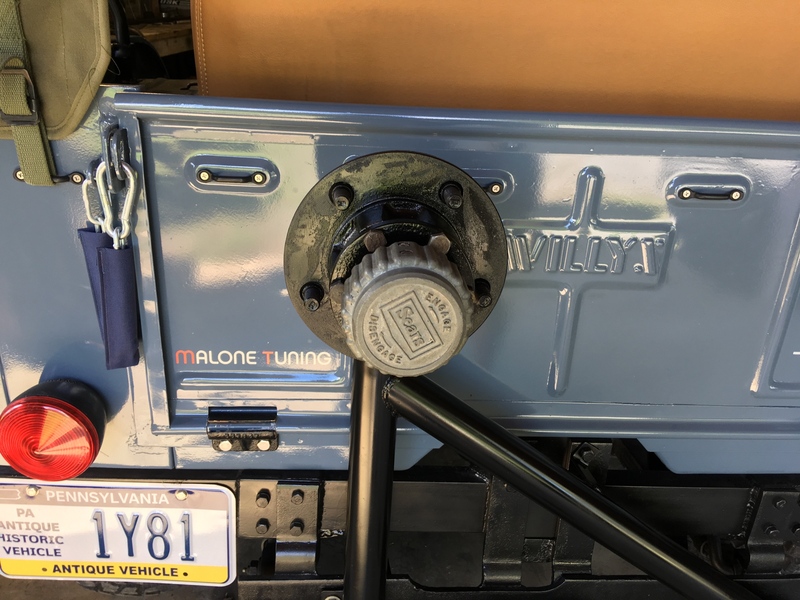 I made a spare tire mount for my jeep from an old spindle and hub. 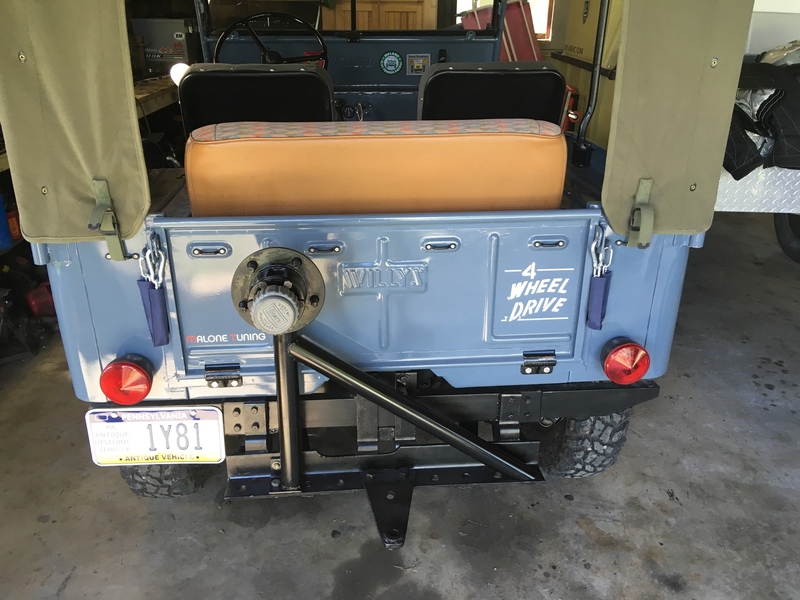 I dont use my tailgate so I made it a non hinging type. 4 bolts and it can be removed if needed. I put it on the left side so its hidden from my view when looking over my should during reverse maneuvers. 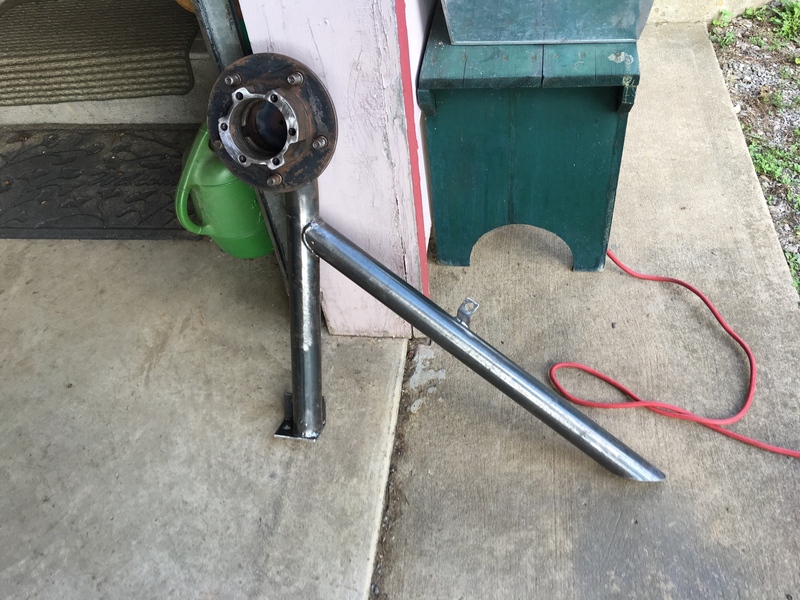 I will add a photo with the wheel mounted once I put a tire on the rim. The locking hub adds a nice touch! The Falcon's innovative thinking and high-standards work never cease to impress. Very cool! Thanks guys. I test fitted everything before assembly to ensure the tail light and license plate is not obstructed. Running stock size tires makes that easy. very innovative and nice work. Looks great. 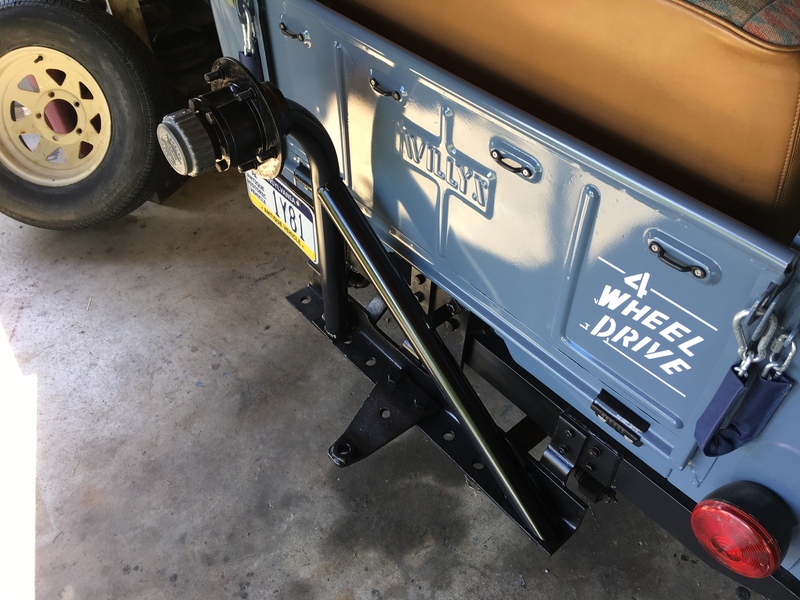 My son and I used a similar concept on his '84 CJ-7 . 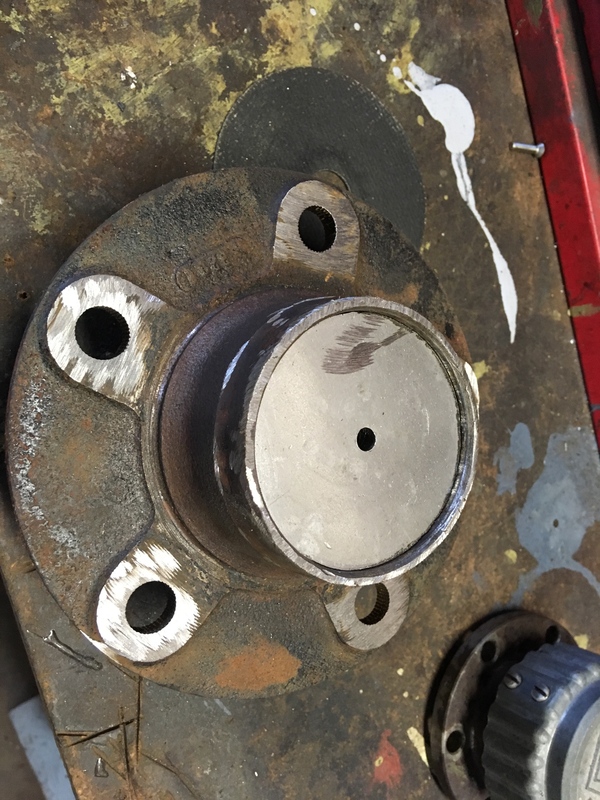 . . (his CJ still has the weak stock 5-bolt hubs/lockouts in front axle). 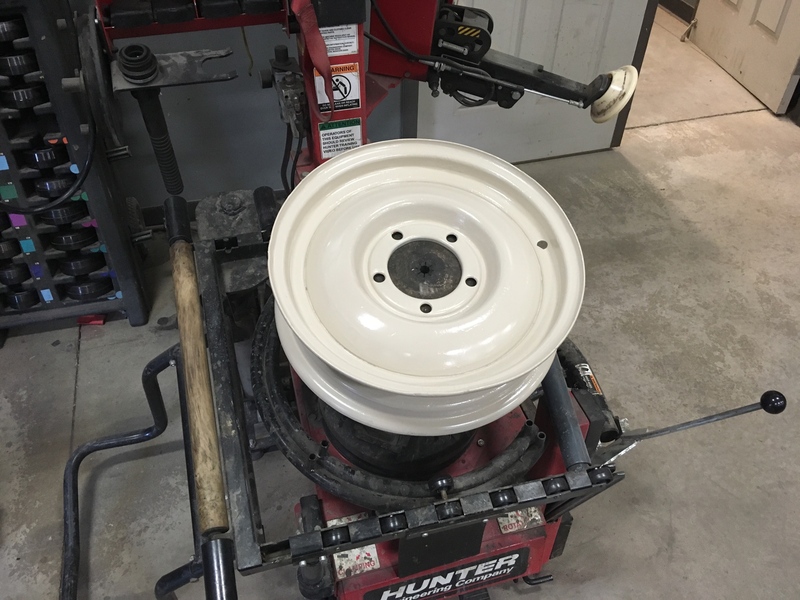 His spare tire is too wide for the lug bracket on the swing-away tire carrier, so we replaced it with a spare hub assembly. Like yours, it serves dual purpose, to hold spare to carrier, and consists of spare parts for front axle. Finally got the tire on the rim and mounted it. What tires & size? I like the main tube bend on the carrier. Very cool. 1948 cj2a. Rebuilt: L-head, steering, T90C, D18, so far.